Dr. Udo Ariwodo, House Call Nurse Practitioner at United Healthcare, has been selected to join the Nursing Board at the American Health Council. 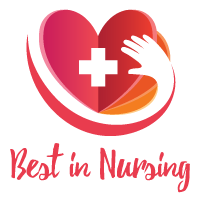 She will be sharing her knowledge and expertise in Assessment Skill, Research, and Nursing. Amassing two decades of expertise in the field of Nursing, Dr. Ariwodo offers valuable insight in her role as a House Call Nurse Practitioner at United Healthcare. As the largest single health carrier in the United States, the United HealthCare provides quality healthcare with a nationwide network composed of over 500,000 healthcare professionals and 4,965 hospitals. With a focus on the delivery of quality care and improvement, United Healthcare invests in research and development to provide affordable care to millions of people. 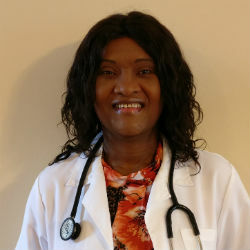 In her current capacity as a House Call Nurse Practitioner at United Healthcare since 2013, Dr. Ariwodo’s day-to-day responsibilities include educating patients on their medications, disease process, health promotion, disease prevention and management. She conducts home health assessment of patients with chronic diseases and psychiatric conditions. Following graduation with a Master of Science in Nursing degree from Winston-Salem State University in 2009, Dr. Ariwodo earned a Doctor of Nursing Practice degree from Grand Canyon University in 2016. She holds certifications as an advanced practice registered nurse and a certified family nurse practitioner. To stay abreast to the latest in the industry, Dr. Ariwodo maintains membership with the American Nurses Association and American Association of Nurse Practitioners. Due to her commitment to her excellence, Dr. Ariwodo received the DNP Achievement Award by the United Health Group. Dr. Ariwodo became involved in the field after admiring her mother’s work ethic, who was a registered nurse. Prior to earning her DNP, Dr. Ariwodo began her career as an LPN to serve as an advocate for the patients. Looking back, Dr. Ariwodo attributes her success to her hard work, dedication and passion for the field of Nursing. She is most proud to have earned her DNP and the success of her published dissertation. In her free time, Dr. Ariwodo enjoys walking and watching movies. She volunteers with the Salvation Army and the Goodwill. Considering the future, Dr. Ariwodo hopes to become a professor and become more involved in evidence based practice.